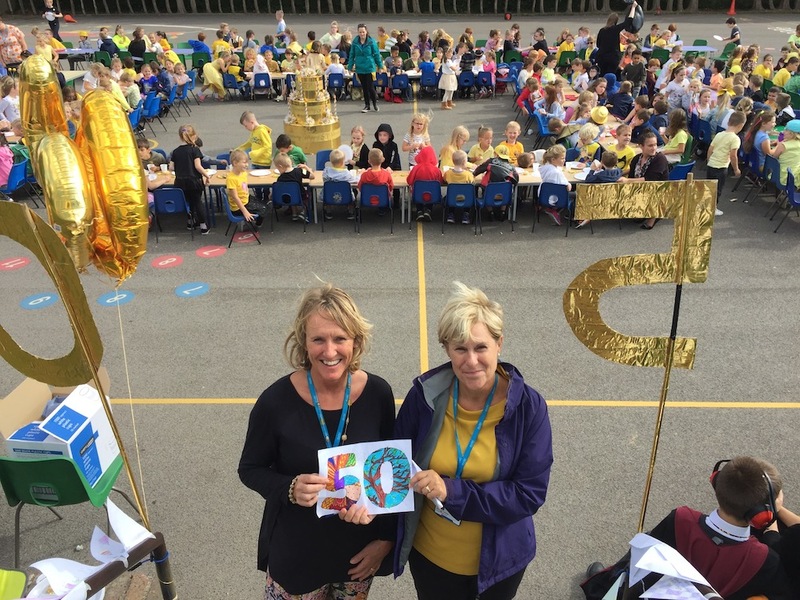 Manor Primary School deputy headteacher Mandy Lanham and headteacher Margaret Coleman at a playground party attended by about 350 children to celebrate the school's 50th anniversary. 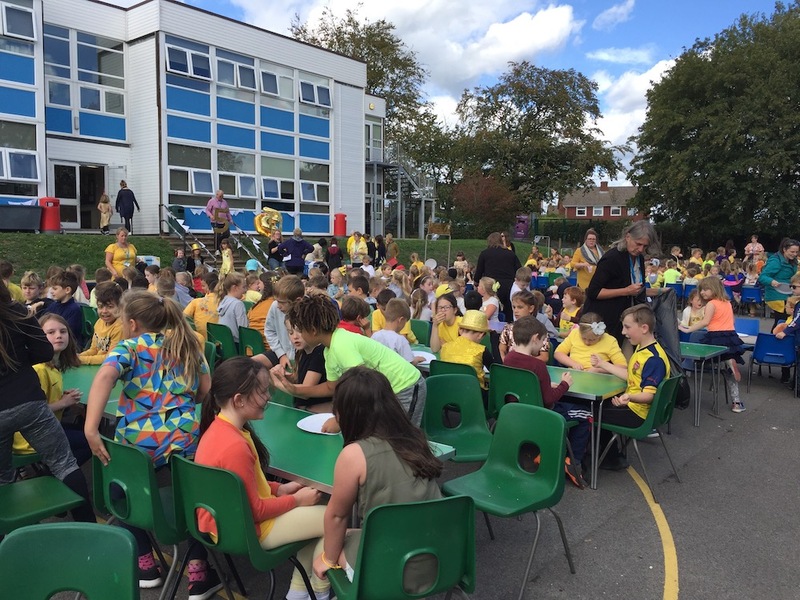 Manor Primary School celebrated its 50th anniversary in style last week. Children enjoyed a party in the playground on Friday afternoon and were able to use a Golden Mile track for the first time in the morning. 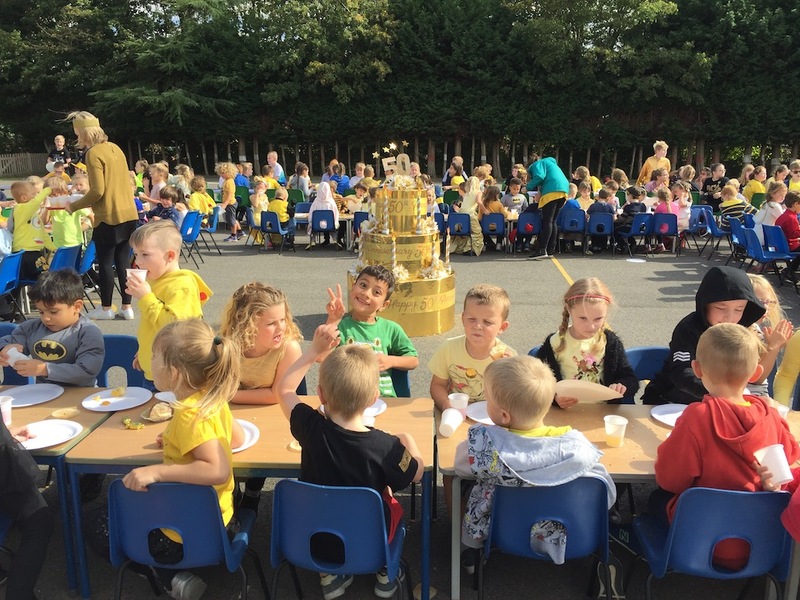 All 350 pupils from Years 1 to 6 were invited to the tea party while new Foundation Stage children had their own gathering. Everybody wore gold or yellow for the occasion. Party time at Manor Primary School. 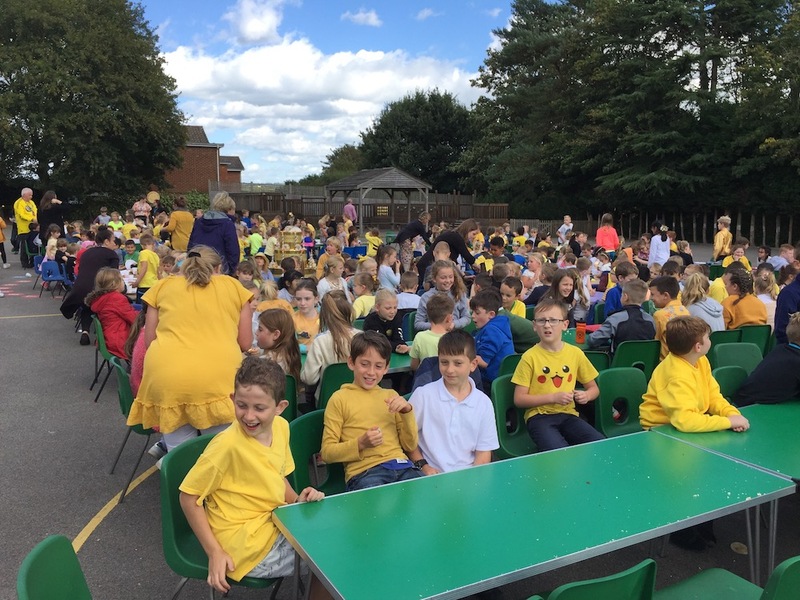 And in the morning children used the school’s Daily Mile track – now renamed the Golden Mile to tie in with the anniversary – for the first time. 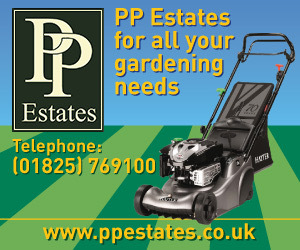 They took part in a sponsored event aiming to complete ten laps of the track to equal one mile. Staff were kept busy recording the laps as they were done. Funds raised will go to Macmillan and the Alzheimer’s Society. 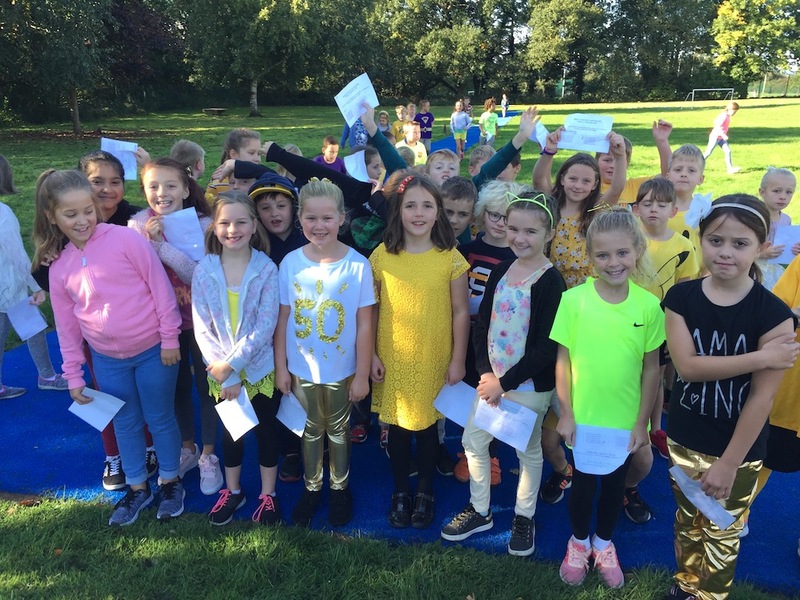 Manor Primary School children pause for a photograph during a sponsored event to run a Golden Mile. • Manor Primary School opened its doors for the first time in September 1968 for children from the newly built Manor Estate. More Uckfield News pictures taken at the anniverary tea party can be seen below.